With the last light of evening waning, a pasture of colorful wildflowers shares a quiet beauty with any that pass by. 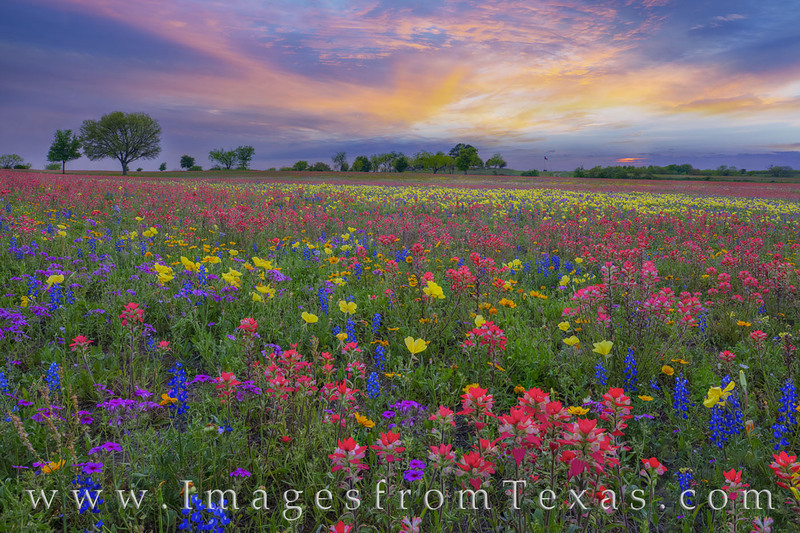 The land owner had contacted me a few days prior and invited me to shoot on this magnificient piece of property.. Paintbrush, bluebonnets, primrose, phlox, and a few coreopsis created a palette of vibrant colors I have not seen in many years. As far as the horizon, these wildflowers danced in the gentle breeze. The light faded quickly and I was soon on my way home, making the 1.5 hour drive back to the Hill Country. Still, this evening would be long remembered. Photo © copyright by Rob Greebon.